Choose your favorite color from among 150 colored silk threads indispensable for Tsuzure-ori weaving and wind them around a wooden frame to create a lampshade. 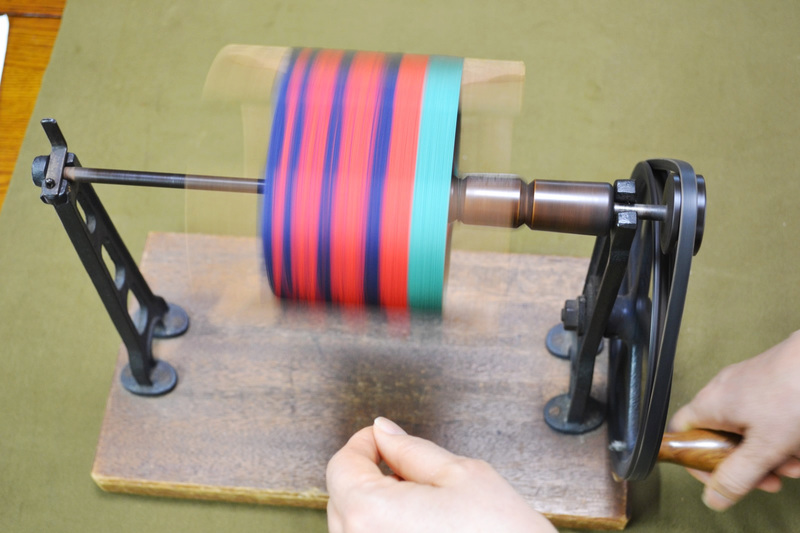 The color gradation technique called “mouline yarn making” (Mokuito-zukuri, twisting together threads of different colors) is the main reason for the unique beauty of Tsuzure-ori. Using their perfected skill of color shades matching, Tsuzure-ori craftsmen have the unique ability to create some stunning works of art.